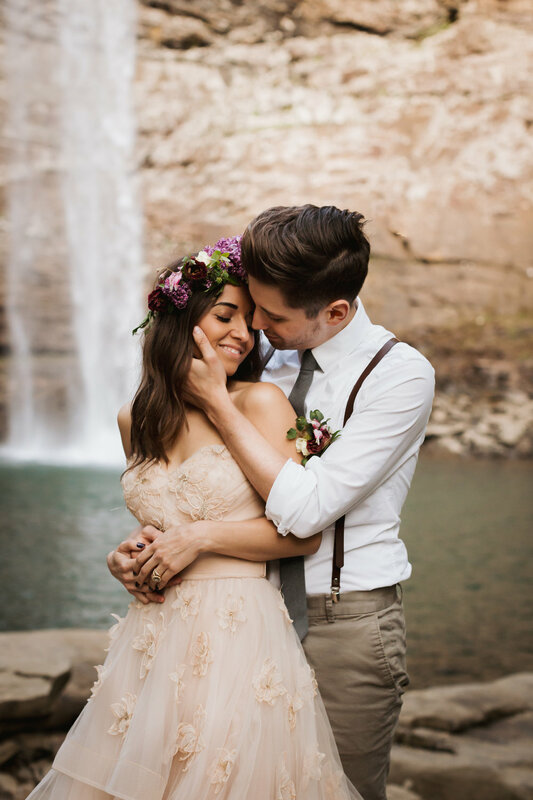 This summer, we had the privilege of launching our very first Promise Mountain Nashville experience deep in the beautiful TN forest, right by one of our favorite waterfalls in the region. Glenn & Noel were so much fun to photograph! Talk about a dreamy couple from Nashville. 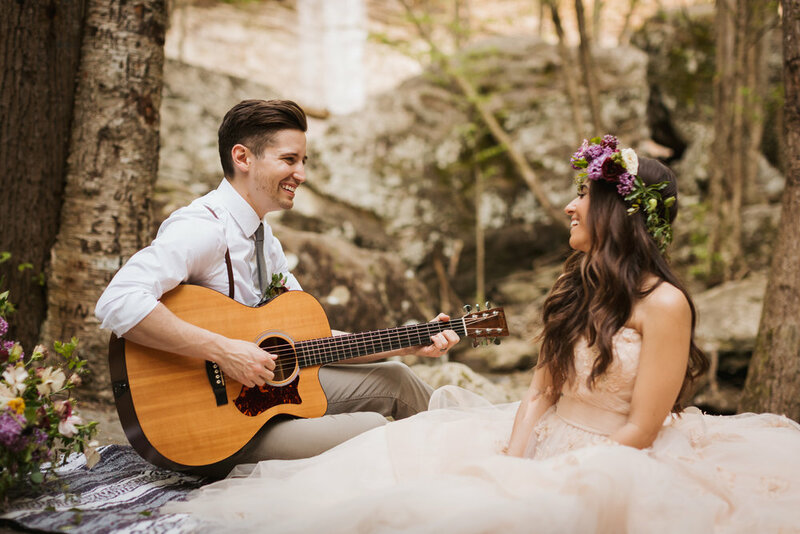 Both Glenn & Noel (@wearepieces on IG) are amazing worship leaders so it was only natural to bring a guitar out into the forest for a couple songs before they exchanged their original wedding vows in front of the falls. 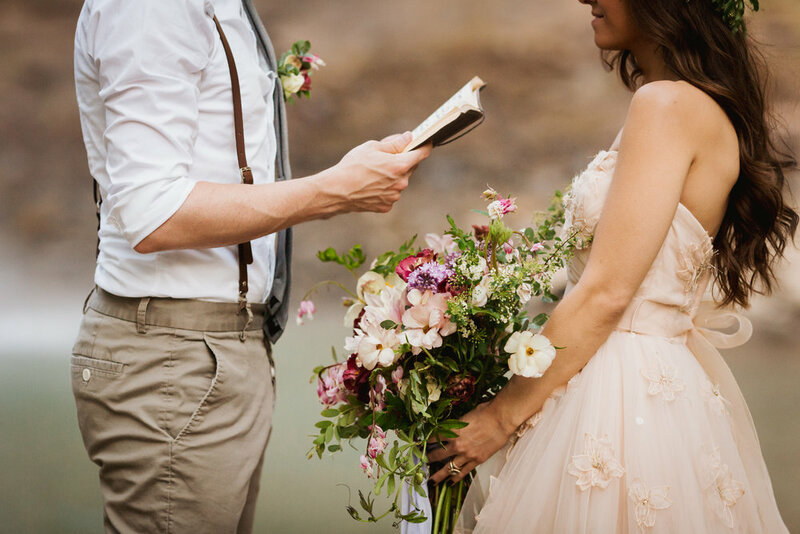 One of our favorite elements of the day was the incredible floral arrangements we also got to photograph. 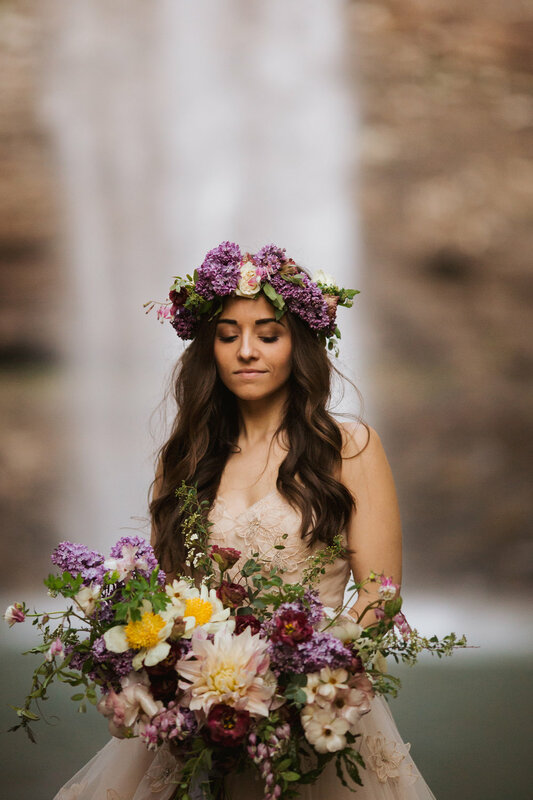 Our favorite Nashville florist, Mary Love Richardson of Rosemary & Finch (@maryloverichardson on IG) teamed up with us to make this whole shoot magically come together, the way it did. Mary Love was fantastic to work with and is easily one of the nicest people you'll ever meet. 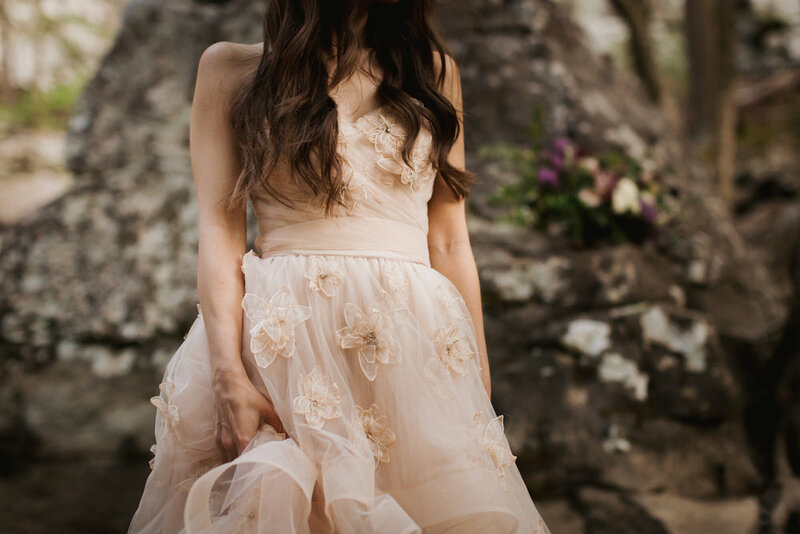 Such a blast to collaborate with such talented Nashville creatives such as Mary Love! We are so excited to introduce Promise Mountain Nashville as an extension of our original collections in Norway. These packages are designed to make room for adventurous souls who might not have the chance to fly to the fjords of Norway but still want to adventure with their loved one into the majestic forests and falls region surrounding Nashville, TN, USA. We also think our US packages are the perfect option for Norwegians & other Europeans who want to escape to the US for an adventure romance package they won't soon forget. Our Nashville collections offer most of what our Norway collections offer, but with an American twist, working with our favorite Nashville vendors for each collection. 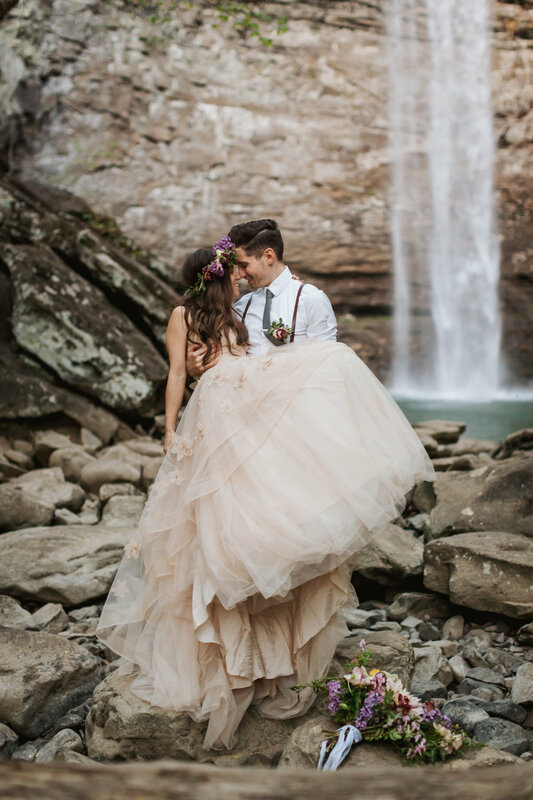 Think: a waterfall adventure photography session, a private wedding ceremony or vow-renewal with officiant, a cozy cabin stay in the woods or a getaway in one of Nashville's classy boutique hotels... And so much more. We can't wait to host you and your loved one for the romantic adventure of a lifetime. To see more about our BRAND NEW Nashville collections, click here! For our classic Norway adventure collections, click here. Nashville collections available starting September 2018.